Bluechip Livestock is an exchange service like no other. Drawing on over ten years worth of independent, sheep genetic performance data, we empower you with the ability to identify the most profitable sheep in the country. 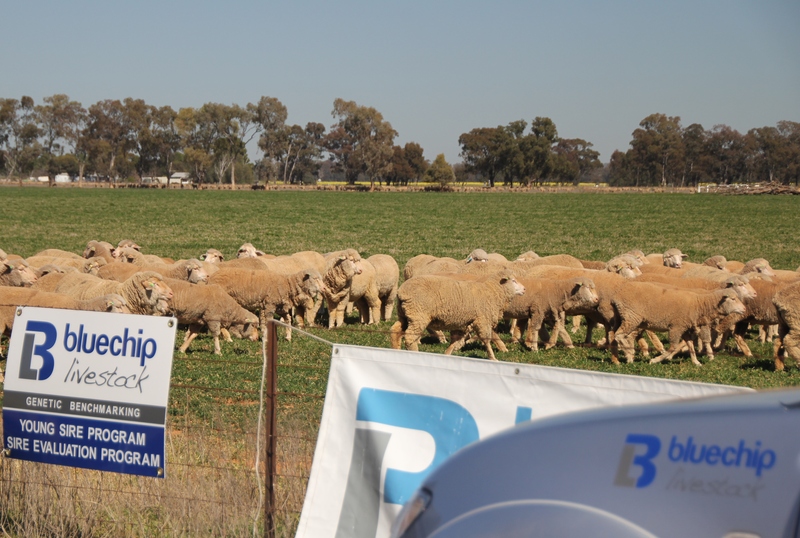 Bluechip Livestock has a strategic alliance with the Peter Westblade Memorial Merino Challenge and other sources of genetic benchmarking data. The massive variability in bloodlines can be capitalised upon by selecting the most profitable sheep in the industry for your enterprise. Growers can opt to participate in the genetic comparisons, or they can source information on their bloodline if it’s represented in trials that have already been conducted. When the Grower is ready to sell their sheep, Bluechip Livestock will supply objective data to assess the expected performance of the sheep, allowing the vendor to command a premium price for this performance. Prospective buyers can view data online or contact Bluechip Livestock to access independent data on productivity and quality, and to gain an objective comparison on the sheep’s genetics on offer. On the completion of the sale, Bluechip Livestock receives a Marketing Fee from the seller based on the price achieved. Access to unique genetic performance data exclusive to Bluechip Livestock. Predictability of different bloodlines’ performance. The ability to increase your income through high performance sheep, without increasing your current costs. Integrity of people and product. Bluechip Livestock can help you purchase with confidence by identifying the best sheep for your enterprise by utilising independent, objective data. Bluechip Livestock will prove your sheep’s genetic performance, and then match it with buyers seeking the most profitable sheep. This creates a unique market environment that rewards superior genetics. Whether you’re looking to buy or sell sheep, we can add value to your enterprise.